As ADAPT Community Network honored John and Mark Cronin, Owner and Founders of “John Crazy Socks” at the 2019 Leadership Gala, our persons supported/artist are created their own versions of CRAZY SOCKS. 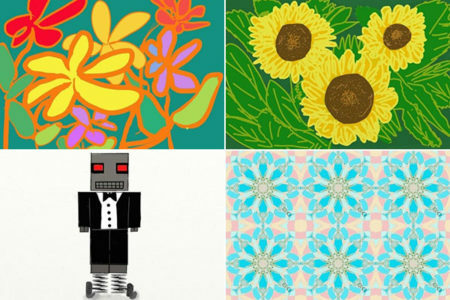 With artistic support from Natalie Reichel, Art Specialist, ADAPT artists have created their own crazy sock patterns. Mark and John Cronin love this idea so much, they have decided to print one of the patterns on their line of socks. Sounds like a contest? Well, it is.